Nassau County, NY - October 21, 2014 - Nassau County Executive Edward P. Mangano will honor veterans and active duty military personnel for their service to our nation with a free round of golf at Eisenhower Park’s 18-hole Blue Course and the 9-hole courses at Cantiague Park, Christopher Morley Park, Bay Park, and North Woodmere Park, on Veterans Day, Tuesday, November 11th. The PGA Tour Superstore is partnering with Nassau County and providing veterans and active duty military with coupons, coffee and doughnuts. To qualify for this Veterans Day offer, golfers must present proof of Nassau County residency and either military identification or discharge papers, or a Nassau County Veterans Leisure Passport. This program involves walk-up games only (no reservations). Golf cart fees will be discounted for veterans and active duty military with a Nassau County leisure pass. Eisenhower Park in East Meadow is accessible through entrances on Hempstead Turnpike at East Meadow Avenue, and Merrick Avenue at Stewart Avenue; the golf office number is (516) 572-0327. 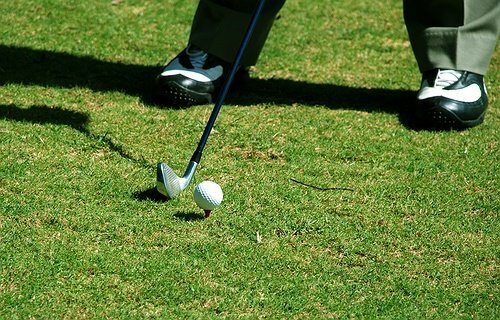 Bay Park is located on First Avenue in East Rockaway; the golf office number is (516) 571-7242. Cantiague Park is located on West John Street in Hicksville; the golf office number is: (516) 571-7061. Christopher Morley Park is located on Searingtown Road in Roslyn-North Hills; the golf office number is (516) 571-8120. North Woodmere Park is located on Branch Boulevard in North Woodmere; the golf office number is: (516) 571-7814/15. For information about Nassau County Parks, please call: (516) 572-0200 or visit our website. Subject: LongIsland.com - Your Name sent you Article details of "Mangano Offers Free Golf To Veterans And Active Duty Military On Veterans Day"